Hot on the heels of a small-scale trial into the use of a potential new treatment for people whose hair loss has been caused by extreme forms of the autoimmune disorder alopecia areata, American pharmaceutical firm Aclaris has announced an additional, more comprehensive study which will investigate how its drug works on people with milder forms of the disease. Aclaris has been in the news quite a lot recently because of its pioneering work in the field of alopecia areata research, and what gives the company more credibility than some of its peers is that it has forged strong links with Dr Angela Christiano and her team of hair loss lost experts at Columbia University Medical Centre’s Department of Dermatology in New York. So far Columbia’s Trustees have amassed a number of patents in relation to topical and oral hair loss drugs designed to treat various conditions – including currently untreatable forms of autoimmune alopecia. Each of these have been granted to Aclaris under exclusive licenses reportedly set to expire in the first half of the 2030’s. 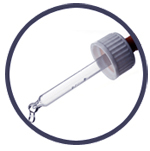 As previously announced, Aclaris is trialling two new drugs known as ATI-50001 and ATI-50002, which appear to be the same drug but developed with different application methods, the former being a pill and the latter being a topical liquid or foam. The small trial it announced recently involves 12 people with alopecia totalis and alopecia universalis – two rare and extreme forms of alopecia areata that lead to total hair loss on the head and in the case of the latter condition on the body as well – and was based around the topical application of its new drug. This will also be the case with the latest trial which is stated quite clearly to be aimed at people with alopecia areata. Alopecia areata is a complex condition, not just from a medical point of view but also from the fact that it can strike suddenly without warning. Furthermore, those with the condition never quite know how long it will last or whether or not it will return should their hair grow back – whether naturally or through treatment. 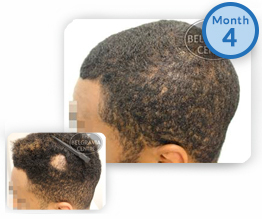 Existing treatments for alopecia areata can be effective when it is the scalp-only, patchy type. Belgravia’s hair loss experts have enjoyed many success stories with tailored courses that make use of high-strength minoxidil from the recommended formulations available from the clinics’ dedicated pharmacies. These solutions are applied topically to the scalp where needed. Designed to be used alongside this medication, several hair growth booster products can help to further stimulate the scalp and nourish the follicles. 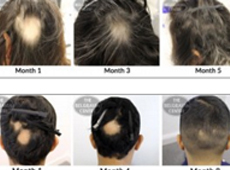 Aclaris and several other companies are coming at hair loss caused by alopecia areata from a different angle and see promise in the suite of drugs named JAK inhibitors which target the janus kinase (JAK) enzymes. While these have shown to be effective at treating extreme alopecia in some clinical trials, they have not been wildly successful in every single case and remain subject to further clinical trials and governmental clearance before they can be used more widely. A total of 120 people are expected to take part in the latest Aclaris trial, with completion due in May 2018. It will be a randomised double-blind trial and some of the subjects will be administered a placebo. 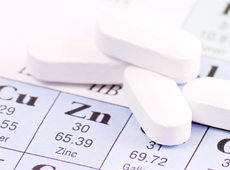 The remainders will be offered ATI-50002 in either a low or high dose to see which is most effective and also to assess tolerability levels. More than a dozen sites across America are being lined up to accept participants and details can be found in the trial registration at clinicaltrials.gov. Can Alopecia Areata Return Once It's Disappeared? The worlds largest collection of hair loss success stories, with photos and comments from some of our Alopecia Areata treatment clients.